InstaB is one of the hottest baby photo sharing app on iOS. "One-click solution for parents to customise their baby photos"
"It helps parents make the ultimate child photo album"
"Great overlaying app for Instagram"
"Get queries about your little one answered by other parents on InstaB"
"InstaB adds excitement to baby photos"
"Share your baby's picture, growth and mood all in a single image"
"The app for the baby paparazzi"
"Instagram untuk bayi / Instagram for baby"
"Sharing of baby photos made easy"
- As seen on Gadget Nation, Astro. 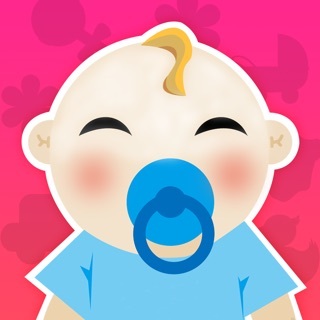 InstaB is the perfect baby app for parents to personalize their baby photos with extra information such as age, gender, zodiac, photo taken date, current date, custom baby mood and specially crafted stickers for baby. Now you can share your baby photos every day with customized skin overlays to highlight special moments, memorable occasions and epochal milestones in your baby’s life. 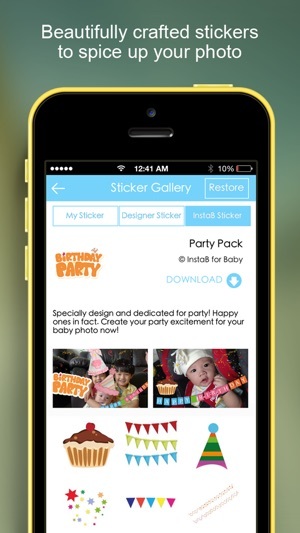 Users can also decorate and spice up their baby photos with our specially designed stickers. There are more than 30 sticker categories currently which include baby toys, party pack, stylish glasses, oriental, achievement badges, cute animal mask and more. 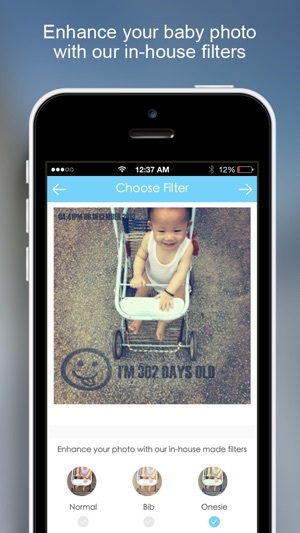 On top of that, you can enhance your baby photo with our own home-brewed filters that work greats on baby photos. We even named our filters with common parenting terms such as Bib, Onesie, Boppy, Rattle and Granny. 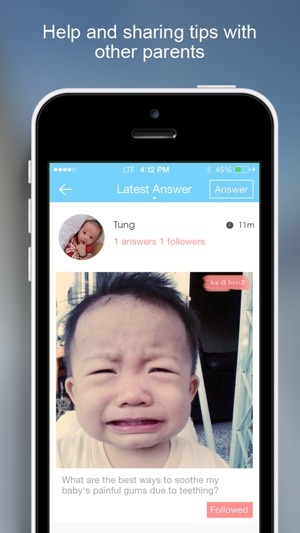 In this version 2.1.0, we introduced a new feature called “Baby Q&A” for parents to ask question or seek opinion from other parents. Parents can include a photo in their question, following a question, provide answer or having discussion answers. These personalized baby photos can be easily shared with their friends on InstaB as well as other social platform such as Facebook, Instagram and etc. With InstaB For Baby, your baby photos will never be the same as you can easily chart your baby growth, insert his/her mood then, and record everyday moments. All you have to do is to choose your favourite baby pictures from your phone gallery or take a picture using your camera phone’s direct capture, and InstaB will do the rest for you by personalizing your baby photos accordingly. 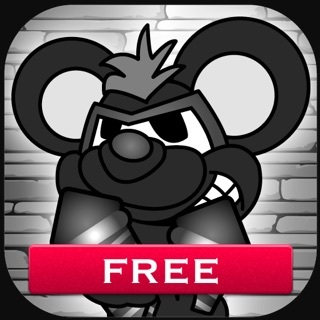 - 100+ custom minimalist overlay skins. - Auto caption on age, gender, zodiac and moments date. 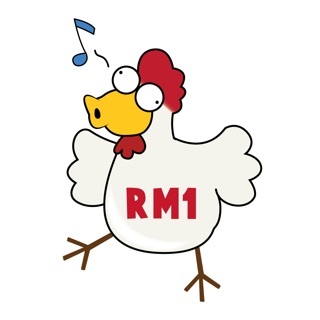 - Specially crafted stickers for your baby. - Mini achievement badges for your baby. 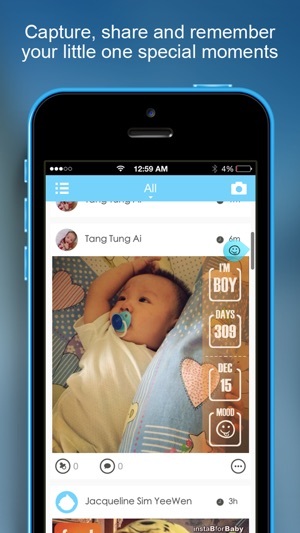 - Thoughtful design of your baby timeline. - Home brewed baby filters such as Bib, Onesie, Boppy, Rattle and Granny. 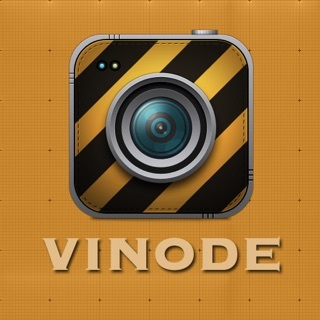 - Easy sharing on InstaB where you can choose to share with your friends and family only. 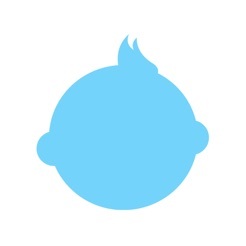 - Engage with other parents with the same baby age or zodiac with like or comments. - Baby Q&A where parents can share tips or ask for help from other parents. - Personal message where parents can send personal message to their friends on InstaB. @ More than 100,000 awesome baby photos/videos generated to date! 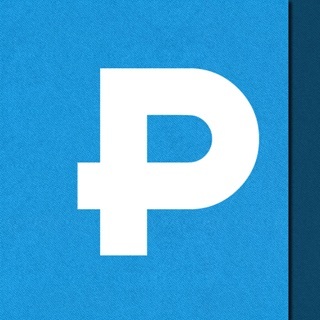 Thanks to Taylor Ling , top notch UI/UX designer (http://dribbble.com/taylorling) for designing our new lovely app icon. I love this app! Especially when you're doing these photos with cute frames, words, stickers and so on. I wish you have different version where we need to pay. For example I would like to pay extra to delete the app name on the pic. 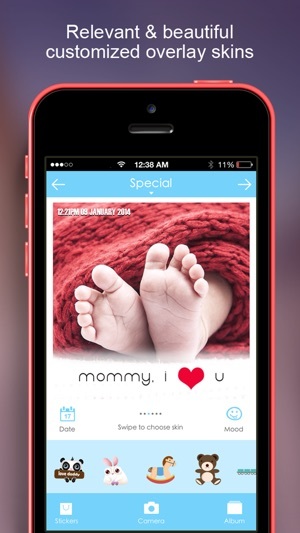 This app is great for those who have babies! Love it very much! Thanks! I love this app, I can put exactly the day since my boys was born and add an special message. 5 stars app for sure.